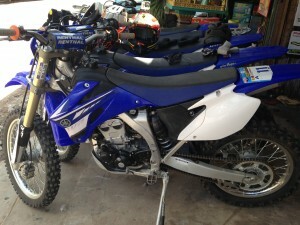 At Cambodia Trails have a wide range of off-road bikes for you to choose. As we have a bike that will suit everyone. 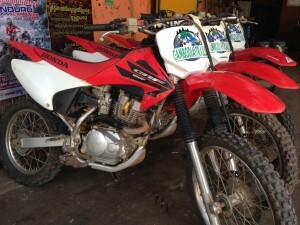 From the robust, reliable Honda CRF-150/230cc used for beginners or female riders, Honda XR-250cc used in our standards tours. ( which are available as an upgrade) If you prefer something with a bit more power than our standard bikes. All Cambodia Trails bikes are in high maintained, with years of experience from maintaining the founders bikes it’s best to use people you trust. We fully service the bikes before each tour, and after each days riding, the bikes are given a thorough work-over to ensure you ride stays smooth and all you have to worry about is the riding itself. If you provide us with your weight when you book your tour, we can set up the sag to suit each individual rider. We pride ourselves in our attention to detail. 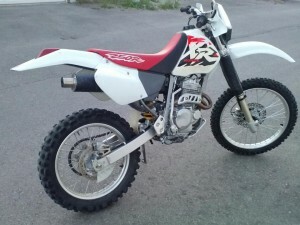 The mid-size Honda CRF150F features the same easy-to-manage power and legendary Honda performance as it always has. But new for 2006, it´s getting even better — with a new engine and the addition of an electric starter. Family riding has never been this fun and this easy.. 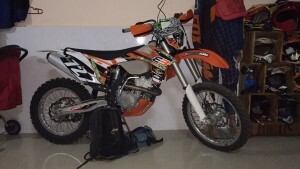 The new KTM 350 XC-F model is for the cross country enthusiast. It comes with an electric start, and also a bigger fuel tank to help you reach those long distances without stopping to fuel up as often. Robust, light and reliable, the Honda XR 250R is the bike we use on the standard tour package. The XR is a great all round bike for riders of all ability. The WR’s are our weapon of choice, with a quick-revving engine with great low and midrange power, the WR250F is ready to tackle any challenge you can throw at it. More suited to the more experienced enduro rider. A great enduro weapon, as light as the 250F but heaps more power throughout the range. For the serious enduro head. 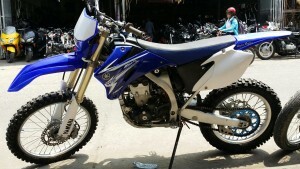 Engine type: Four stroke, single cylinder, DOHC, 5 titanium valve per cylinder.